If you’re new to the HVAC world, you may still need help on how to do things. Here’s a beginner friendly guide on how to balance HVAC system! Is it common for your basement to get a few degrees cooler than the main floor? Does one room always seem colder or warmer than the others? When you have the heat or air conditioner on, do some rooms get more air flow than others? 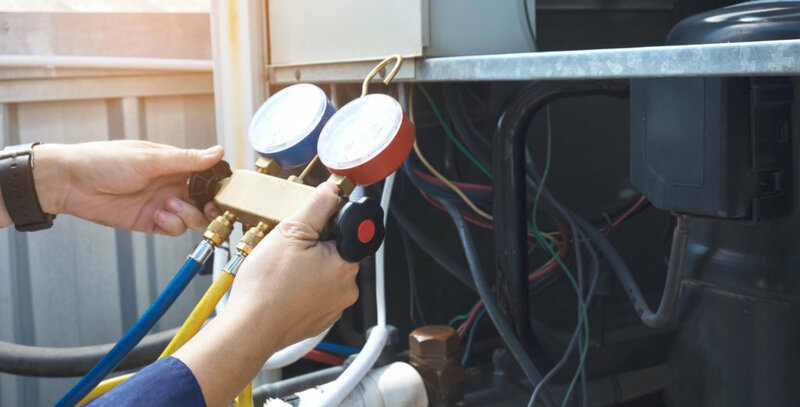 If any of these apply to your home or workplace, you probably need to balance your HVAC system. An unbalanced HVAC system could cost you in energy bills. So if you want to learn why and how to balance your HVAC system, keep reading. HVAC balancing is needed on systems that use ducts to move air through most residential and many commercial spaces. When a system is balanced, damper settings are configured to ensure proper airflow and consistent temperatures throughout the structure. How does an HVAC system become unbalanced? A couple of factors are typically responsible. The first is that damper settings become loose over time. The second factor may be due to altered heating or cooling needs. For example, if you install a large TV or a computer server that emits a lot of heat, the rooms they occupy will need to be re-balanced. But balancing an HVAC system may not solve every temperature difference. Some homes may need HVAC zoning or multiple systems. There could be other issues in the duct layout or duct leaks. Yet balancing the HVAC system is the first step in solving these problems. There are several different types of HVAC systems. To balance each can be done by homeowners like you, but it takes a lot of trial and error. You start to balance airflow by opening or closing the airflow vents in each room. This doesn’t actually balance the HVAC system, but it creates even airflow. Dampers have a wingnut you need to loosen so you can open or loosen the dampers. True HVAC balancing requires specialized devices to measure airflow and adjust dampers in branch ducts, which is why it’s best left to professionals. A HVAC service pro takes initial airflow readings to see where the system is unbalanced and what ducts and dampers have the least amount of airflow. These dampers are usually in the attic or basement and tend to be near the extended branches of the HVAC system. In most cases, two people balance the system. One takes the readings while the other adjusts the dampers. If you’d like a consistent temperature in your home throughout the year, Eyman Plumbing can help. We’ve served Greater Omaha since 1957. We’re known for our 24/7 availability, reliability and exceptional customer service.